Elvis is back at Goldie's Deli! Saturday, May 4, 2019 6-8 p.m. 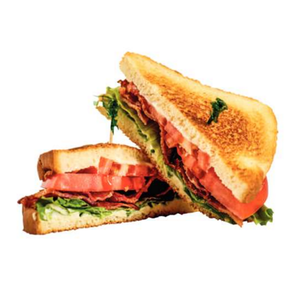 While Goldie’s offers deli sandwiches, there is a variety of other delicious food items as well. Start off with an appetizer of pierogi topped with sautéed onions, then move on to the gourmet burger. Serving breakfast, lunch and dinner, you’ll have a hard time deciding what to choose. If you do have some trouble deciding what to order, Goldie’s has daily lunch specials throughout the week that will keep you and your wallet full. Visit us on Friday nights for our all-you-can-eat Fish Fry. For your next party or event, keep in mind that Goldie’s has party trays available. With a minimum of 10 people per order, pay $6.95 per person and you’ll have a delicious, quality party tray ready to serve at your next get-together. Goldie’s party trays come with corned beef, roast beef, turkey, ham and salami. From there, you get your choice of two cheeses, potato, pasta or macaroni salad, your choice of bread, and it comes garnished with tomatoes and pickle spears. Goldie’s party trays are a perfect way to please a large crowd. Book your next private party at Goldie's after hours. It's the perfect spot for retirement parties, baptisms, bridal and baby showers, or any special event you have in mind. Enjoy the weekend breakfast bar. Goldie's features a breakfast bar every Saturday and Sunday from 8 a.m. to 2 p.m. Adults: $9.95. Children age 7 & under: $6.45. Goldie's Deli is located at 13359 Pearl Road in Strongsville. The phone number is 440-572-8700. Visit them online at Goldies-Deli.com. Mon.-Thurs. 6:30 a.m. to 3 p.m.
Fri. 6:30 a.m. to 8 p.m. Sat. 6:30 a.m. to 3 p.m.
Sun. 7 a.m. to 3 p.m.